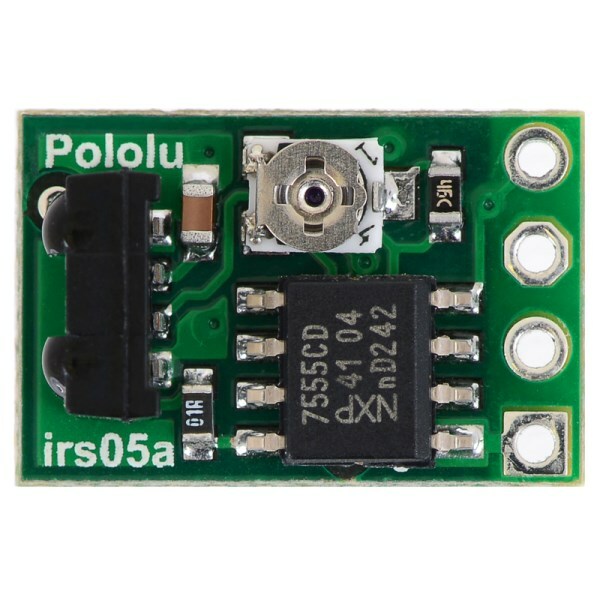 This high brightness Pololu 38 kHz IR Infrared Proximity Sensor has a range of up to 60cm. 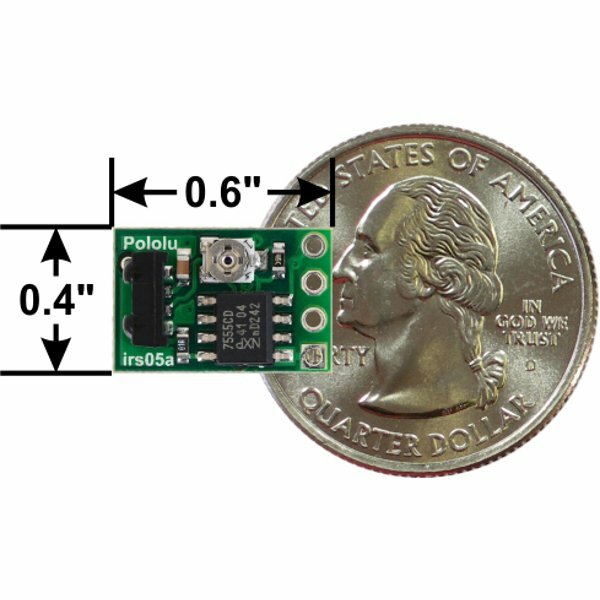 This tiny module features a 38 kHz modulated IR LED and sensor combination to detect obstacles up to 60cm away. That's a range of about two feet. Objects are detected by measuring the reflection of an invisible beam of light. 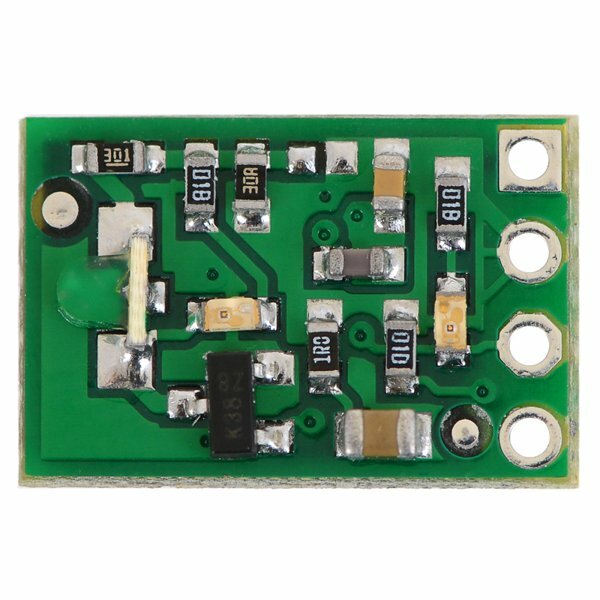 This module can be used with 3.3V and 5V microcontrollers and only consumes about 8mA of current. Connect a 3.3V to 5V power supply to the power (VDD) and common ground (GND) pins. 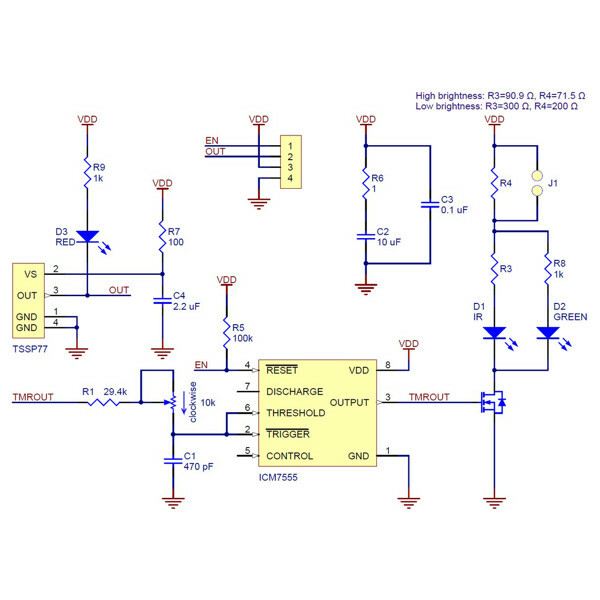 The output (OUT) pin will be at a digital logic HIGH level by default and transition to LOW when reflected IR light is detected. 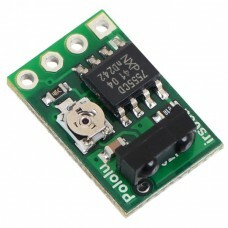 An optional enable (ENABLE) pin is available to turn the sensor on and off. 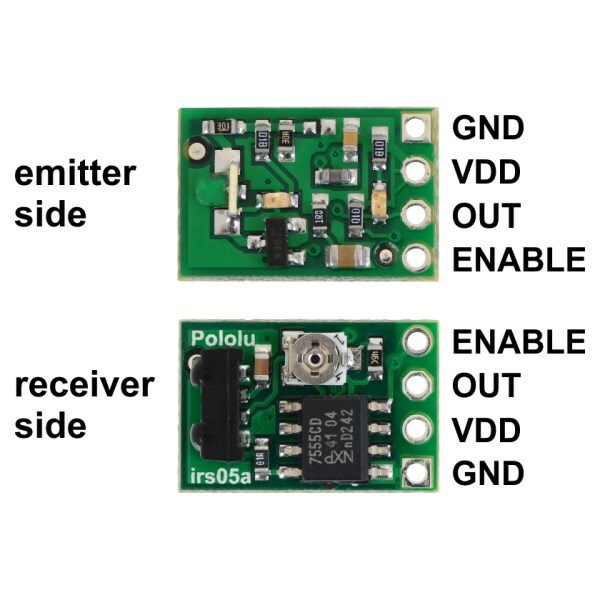 Pull the ENABLE pin LOW to turn off the IR emitter LED. Pull the pin HIGH, or leave it disconnected, to turn it on. To assist with diagnostics, a visible red LED will also illuminate when a reflection is detected. 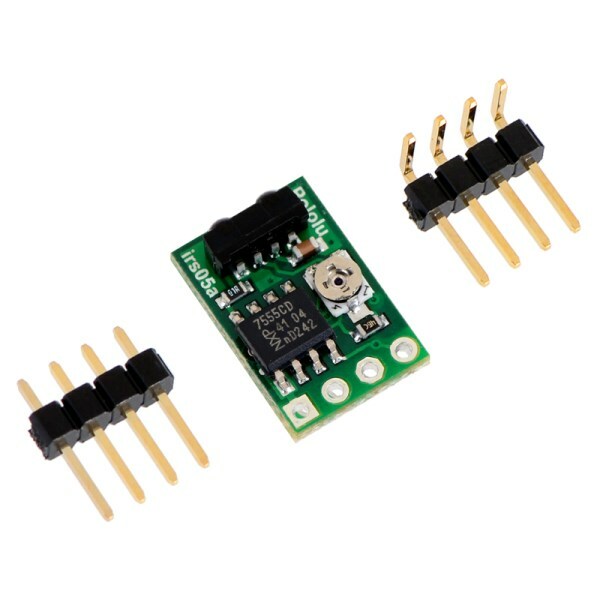 This proximity sensor module comes with a set of optional male headers pins that require soldering.